When you email customers their (Debtor) invoices a covering letter is automatically created forming the Body of the main email. (The invoice/s is/are an attachment.) The Subject of the email is automatically set also. 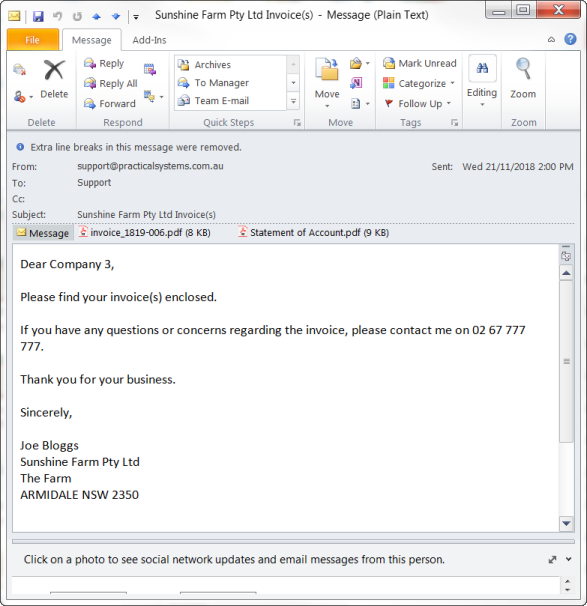 If you wish to make changes to this letter you can edit the Batch Email Template. 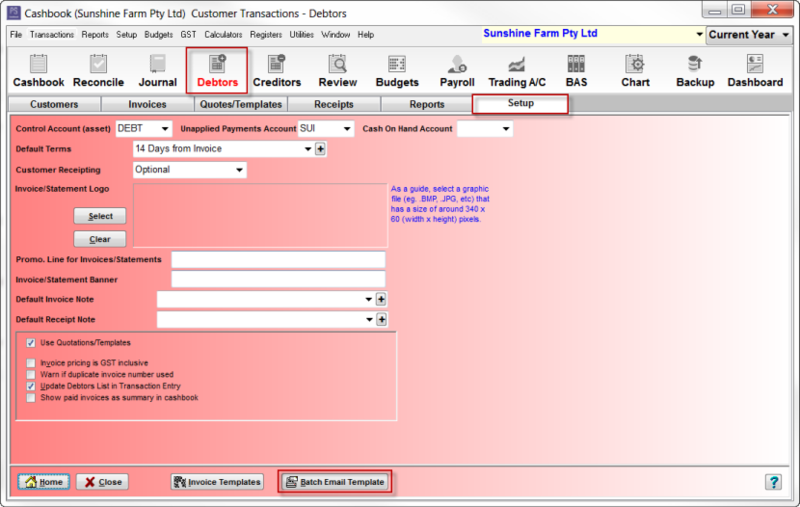 Click on the Debtors toolbar icon. Click on the Batch Email Template button. On the right hand side of this window is a list of Placeholder References, e.g. <Customer>, <TradeName> etc. These are known as 'Active Text'. 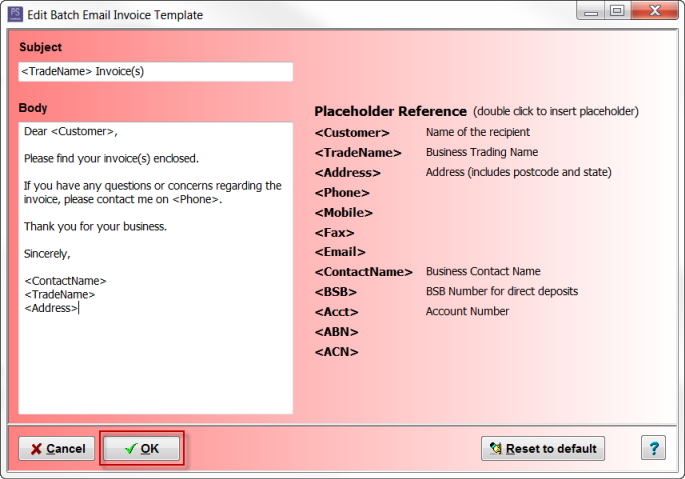 This information is auto filled/sourced from your company details entered via the Setup > Setting menu option. These can be inserted into the Subject or Body text boxes on the left hand side of this window. using the mouse place the cursor where you want it to be in the text box. click on the Placeholder Reference you want inserted into the body of the text. You can also add more general text to these text boxes, by simply typing. Click on the OK button to save changes. 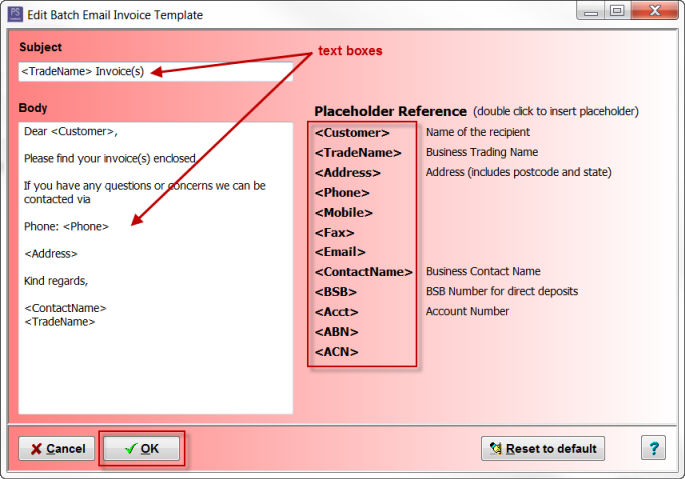 Note: If you want the information to revert back to the original cashbook invoice template, click on the Reset to default button.